Hicks - Hi Steph! I start by talking about your past activities on CPC, and we will speak about your comeback later. Can you explain us your beginning on CPC? It seems that you started demomaking a little bit late, maybe around 1991? Steph - Yes, in fact I started to contribute to a fanzine around 1990, called Freeware. At first, I was mainly correcting typos, as I only had a 464, I wasn't able to enjoy all the demos that were released at the time. Amazing Demo, Yao demo, Not Dead, were among my favourites. Then I started to learn z80 coding, especially after seeing Noix de Croco 7 - I was really impressed by Gozeur's last part with the split raster scroll and the wonderful music by Duffy. I was convinced that I would never be able to do such things, but really wanted to figure out how all this was possible. It led me to practice a lot and finally release Freeware disk mags, which were in between demos and fanzine: not good enough to be a demo, not enough content to be a real fanzine... but I learned a lot. Hicks - Which demos impressed you the most at this time? A preference for hardware demos like The Demo and S&KOH, or for the german software ones like Ultimate Megademo? Steph - As said before, I only had a 464, so I was only able to watch The Demo or S&KOH at friend's places. On the opposite Ultimate Megademo was fully running on my 64K CPC. So even if I was more attracted by hardware tricks and CRTC-based effects, I have spent much more time watching the Ultimate Megademo than any other! It was definitely a groundbreaking demo. Hicks - You are the founder of the group Nephilim. Is there a story behind this group? It's strange to see that you were the only coder, with 4 graphists (MIG, SKF, Savant Fou, and Gougoutt), isn't it? You started coding with Longshot's help if I'm right. Why didn't you recruit another coder? Steph - As Freeware fanzine was dead, I decided to go to the next level, by making demos. I founded the group with people who wanted to join, that's as simple as that. And the few coders I was in touch with, were already in demo groups. Among all these people, Longshot has been playing a very important role. Actually we haven't exchanged so many letters, but he was giving me a lot of very good advices. I particularly liked the way he was not fully answering to my questions, but instead he was giving me some clues, so I could figure out how to solve my problems by myself. Very stimulating, and very smart. Hicks - Anyway, your two Fractal Slideshow were quite impressive for the time. Did you write everything alone or just used existing programs? I guess scientific studies! Steph - I've done almost everything in these slideshows, with some help of my brother, who was more interested in physics and mathematics. Also some magazines such as 'Science & Vie' (and its 'junior' edition) were frequently talking about fractals, the subject was very hot in 1991. I remember going to an exhibition about fractals at the 'Palais de la découverte': I was quite young then (15), and it made me a very strong impression. It was the first time I've seen how mathematics and physics can intricate in a simple, complex and beautiful way, all at the same time. 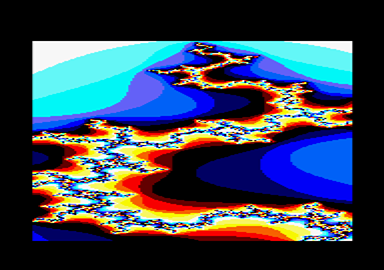 The slideshows consist mainly in precomputed full screen views of the mandelbrot set. Nothing technically impressive, but the computation of these pictures were taking a very long time on a CPC. It was mainly written in Basic. However, this is probably the most successful prod I made for CPC, I never had more positive feedback than for this one! 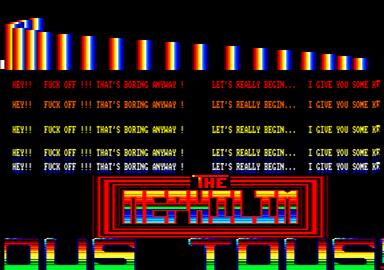 Hicks - In the Nephilim Meeting Number 1 demo, you are mentioning the 'Clostridium Megademo' from Nephilim. But in your last CPC iz Dead demo, there is only a small part with this name. What is the history behind this project? A big megademo with other coders? Steph - AFC Expo I don't remember a lot of things, I only stayed a few hours, I was presenting Freeware 2, I met a few people, such as Clandestine from Croco Passion. Almost everything I can remember is in the report published in A100% magazine. By the way, you can see a picture of me in this report, but the legends are all mixed up! I remember having a great time at Bordelik Meeting 2. Initially we were planning to make a small demo, but as we spent most of our time watching CPC, Amiga and PC demos (Crystal Dream 2 by Triton) we ended up by making a 2 pages report of this event. This is during this weekend I met Memory and RSX, we were discussing PC programming, and this is probably where we decided to collaborate and later found a PC group. SWAB Meeting was also very nice, I spent most of the time with Made, Beast, Sham and Mage. So not many anecdotes, but a lot of fun, for sure! Hicks - Red Light question. Can you explain us what happened with these Fefesse's ST musics diffusion around 1993? You spoke about this in a scroll, but I think it's not clear for everybody. Which impact these story had on the CPC scene in general? Steph - To be honest, I still don't really understand myself what happened then. As far a I can understand now, a lot of people were in possession of these marvelous tunes. Some contacts did send me some of these tunes, but didn't explain me where they were coming from. On the opposite, they told me they were composed by Kangaroo, (which was plausible as he was - and still is - a very talented musician) and it was ok if I used them in one of Nephilim's prods. It was using a lot of CPU resources, so I simply used it for the introduction of Nephilim's Meeting - which was a crappy way to spoil such a nice soundtrack I have to admit. As a result, Longshot was very angry at me, which I can understand, Logon was probably planning to use these tracks in their future productions, and he decided to stop talking to me anymore - I still have his letter explaining the situation. The scroll you are mentioning (in 'CPC iz Dead' demo) is not to be taken too seriously: it's more like a childish reaction to all this, I was like a child whose toys were broken - and partially by his own fault! Perhaps the funniest thing in that story is the fact that Longshot was probably the first person I sent the incrimated demo to! I wanted to show him how my skills were improving, thanks to his advices! I guess I was really naive at the time, and this is perhaps one of the greatest lessons I learned then: check the things twice instead of simply believing what people do say. However, as we can see today, the CPC is still alive, but somehow the title 'CPC iz Dead' was partially correct: at the time most of the people were leaving the CPC scene, for many and various reasons. So actually I don't think all these events around these musics had a strong impact on the CPC scene in general. Hicks - And then, 25 years later, Steph becomes Siko! What motivated you to come back to code on CPC all these years later? Did you totally loose contact with the scene or did you follow Pouet & cie during this time? Steph - In late 1993, I've switched to the PC, and started to learn 386 assembly. I was still interested by demoscene, and founded a group called Distorsion, with some friends from CPC: RSX, Memory, Gougoutt, and Savant Fou. Also Made contributed to some of our prods, and two other coders joined us (Killer PC and Paranoia). I became less and less active, as I was entering high school, I was more involved in learning more 'traditional' computer stuff than demo effects! But I was still following what was happening on the PC scene. After 2001, I've also founded an artistic group (named music2eye), where we made a lot of interactive installations and exhibitions around the world. I had the great honour to work with people such as Didier Bouchon (who was the man behind Captain Blood video game) and also with the fantastic illustrator Jean Giraud, better known as Moebius. I'm still working on some projects, particularly the Virus project with the american artist Joseph Nechvatal and the also american composer Rhys Chatham, known for his pieces for 100 guitars. This is only in 2017 I had the opportunity to discover the new generation of demos on CPC. I was totally blown away by the quality level of these new productions. The great thing is the fact that the '1-effect-with-a-big-hard-scroll-until-you-press-a-key' era was over, and this was very refreshing. It was typical and quite unique to CPC scene. However, when comparing today's C64 and CPC scenes, I feel there is still something wrong with CPC scene. A lot of C64 demos are released, there is a lot of parties, many productions involve many coders. On CPC, it looks like every demo is programmed by a single coder. Perhaps is the way to make demos on CPC traditionally too technically oriented? I don't know. Anyway, I've decided to come back to the CPC, because I was very curious to understand how all these new demos were possible, and also because it is now much easier to develop, with all the great tools we have. Emulators are very efficient for quickly testing and debugging code in a convenient manner. And also I found in RASM the ideal tool for programming for z80 architectures. Hicks - In september, you released Still Scrolling, a great 4k demonstrating that you still like scrollings :) Why a 4k? Can you tell us what was the most complex to do after this break and with these limitations? Steph - Thanks! This is what I would call an unexpected release. A few months ago, I was starting to work on some music-based games for CPC, and was sending some messages at this subject on some CPC dedicated social networks groups. This is where Ast/Impact started discussing with me, and he quickly became my main interlocutor for talking about technical aspects of the CPC. Since all these years, I was wondering how the 'crazy scroll' part of BSC Megademo was done. And Ast simply explained me the split border trick! It led me to the idea behind 'Still Scrolling', by overlapping two scrolls with a split scroll jumping back and forth the hard scroll. So in a way, I made again a 'one-screen-with-hard-scroll' demo, but I tried to condense many variations in a short time. Hopefully it is not too annoying to watch. I decided to make a 4K, when I realized that the main effect and the music could fit in 4K, thanks to Shrinkler and the implementation of its decruncher by Roudoudou and Madram (and some other talented coders). Also it was a way to set a limit for this project, because my original plan was making a game, not a demo! It was very challenging, almost frustrating when I had to rework my code to make it as small as possible, but it was also a great opportunity to learn a lot during the 4 months of development. About differences between CRTCs of course, and about Z80 architectures too (which I believed I knew well - I must admit I was wrong!). Also this intro was an opportunity to compose my first soundtrack for CPC, with Arkos Tracker. This time I know exactly where the music comes from! Last but not least, I had the pleasure to work with Barjack at the end of the production - in fact the very last week! One day, I will perhaps release the 1st version of the intro, so people will be able to appreciate Barjack's contribution! 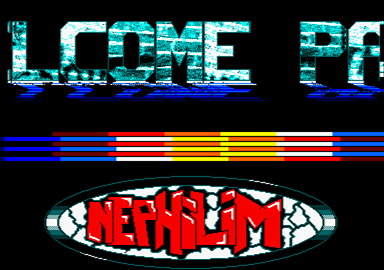 Hicks - We can see on your website, www.sikorama.fr, that you are working on a musical game on CPC. That's a really nice idea! Is the project still alive, and maybe already playable? Do you work with graphists and musicians? Steph - Yes! I'm working on a music-generated-levels kind of game, I think it's a missing genre on the CPC. It is currently in very early stages, but yes, the project is still alive. After releasing 'Still Scrolling' I had to take a little break. Right now, I'm focusing on technical aspects and am working on the gameplay. Once it will reach a satisfactory level, I'll probably release a preview, to get some feedbacks, and recruit some people. I prefer to involve people when i'm sure the project will be terminated, I know how frustrating it can be when a project never finishes... So stay tuned, but don't expect anything too soon! Hicks - Thank you for your answers, and welcome back on the scene! Steph - Thanks, it was an honour to be interviewed along all these great people!